The products we offer to you are 'green' based products that focus around the organic benefits of worm composting. We offer only of which we have either grown, harvested, created or researched; being sure to meet a high-standard of quality and user-friendly, fun and durable construction. We grow the BEST of the best when it comes to a composting worm! The Red Wiggler Worm (Eisenia Fetida) or the European Night Crawler (Eisena hortensis) are both excellent choices. You know you're getting top-of-the-line, healthy when you purchase this variety for composting! With the composting worms being so good at what they do, we are able to harvest organic cast and create a tea; both products provide a nutrient-rich, organic fertilizer that your plants of all types will benefit from and will LOVE! Growth differences showing in just days! A little goes a long way! 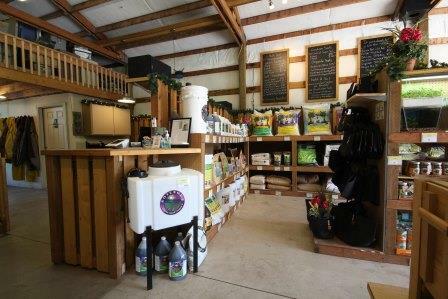 We've added a multitude of organic soil amendments to our product line: basics, blends, marine based and minerals, as well as special blends for hydroponic use. A choice for everyone! Remember that every bit of organic waste you can compost becomes the nutrients for plants to grow on, reducing life's footprint for future generations. We also have some plant containers if you are in need of growing pots and fun garden accessories.